Though nothing can take the place of genetics, there are a number of tips and tricks to boost your beard and give it a thicker, fuller look. In this article I am going to go over how to use castor oil for beard growth. As I like to say when it comes to any natural remedies for any kind of hair growth, don’t expect a miracle. With any luck the best castor oil will help you see some results as long as you don’t think that this is a magic bullet. Black castor oil for hair has some properties that should help you see some moderate results and should be worth it for many guys depending on what you need. So, let’s dive into the world of castor oil for beard growth and see if it is right for you! There are two kinds of castor oil I am going to talk about in this article. Regular castor oil that is pressed from castor seeds and black castor oil which is the same oil, but processed by heating the seeds and then adding the ash from the seeds to the oil to give it the back appearance. There is a reason for this that I will go into in a minute. This is the oil pressed from castor seeds. For thousands of years it has been used as a laxative for digestive health when ingested, and as an antibacterial and antifungal topical ointment for skin conditions. It has made a resurgence over the past few years and can be found in a wide variety of hair and cosmetic products. The best castor oil is cold pressed and organic. Similar to using an extra virgin olive oil, it retains the nutrients that make it so good for your hair and skin when it is cold pressed. Another way to process castor oil is to roast the seeds and then press them. After the oil is released from the seeds, the ash from the burnt hulls are then added back to the oil. This gives the oil an alkalinity that acts as a clarifying agent and can really help if you have oily skin or even conditions like eczema or seborrheic dermatitis. Since those conditions can really affect your hair growth, it is the best castor oil to use when you need to regrow hair when suffering from bad skin. Castor oil for beard, skin or hair has tons of monounsaturated fatty acids. Chief among them is ricinoleic acid. This acid, combined with the others, act as antibacterial, antifungal and antimicrobial agents, naturally. Castor oil has one negative for certain people. It actually dries out the skin, especially the Jamaican black castor oil for hair. The alkalinity in it acts as a clarifying agent which can dry out the skin similar to a clarifying shampoo.this is good news if you have oily skin or are prone to acne, but bad news if your skin is dry and flaky under your bear. I’ll go over some ways to avoid this when using castor oil for beards. 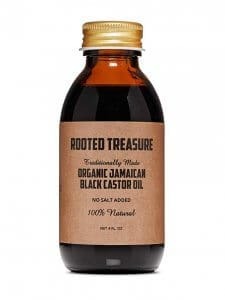 Why Use Jamaican Black Castor Oil for Hair and Beard? Though I am going to focus on castor oil for beards in this article, pretty much everything you’ll read can also pertain to your hair on your head. Beard hair is different and the skin of your face is different than your scalp, but pretty much the benefits ring true for either type of application. Lots of guys end up with skin problems when they grow a beard. Not because the beard is bad, but because they aren’t doing much to take care of their skin when they grow a beard. 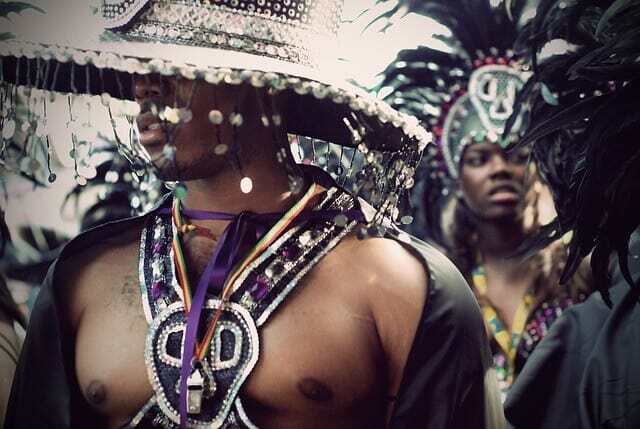 As a result a lot of guys end up with acne or have follicles blocked with excess sebum. This results in a beard that does not look its best, in the best case scenario, and fails to grow and thrive in a worst case scenario. Using Jamaican castor oil for hair can take care of those skin problems that affect your beard growth. So how does Jamaican castor oil for hair work on your beard? Your hair follicles need oxygen and nutrients that can only come from your blood. If your blood circulation on your face is low, then your beard is not getting what it needs to grow. 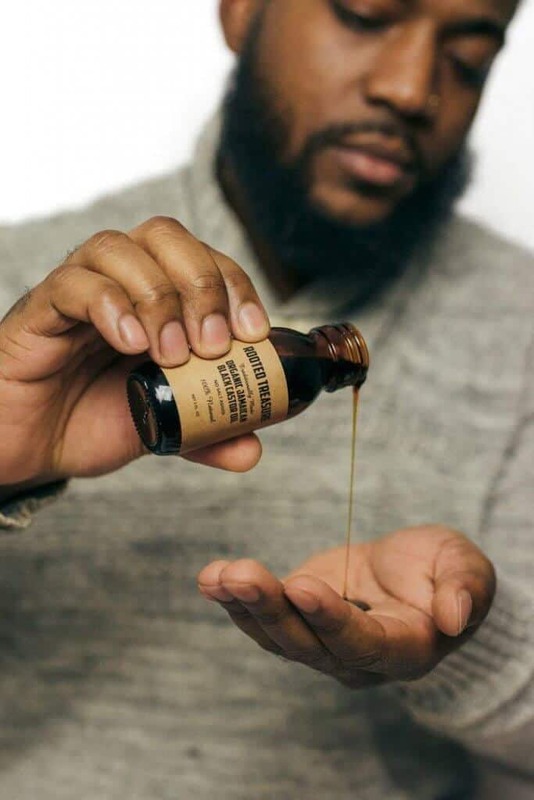 Using castor oil for beard will improve the circulation and the roots of the hair will get more oxygen and nutrients to grow the way they should. Because the hair is getting more nourishment due to the improved circulation, you should see some faster growth of your beard. If you use a castor oil mixed with some other essential oils that can then nourish your hair further you should see even better results. Argan oil is a very good carrier oil that you can mix with the best castor oil to boost your beard growth. For your hair to be thicker, whether it is beard or head hair, you only have one chance to make it thick. That is during the period of hair growth before the follicle seals up. Early on in its growth phase, using castor oil you can increase the thickness of the follicle for a thicker beard. Once that phase is over, however, there is not much you can do to make it thicker, except for making it appear thicker. Since castor oil is a great anti inflammatory and many guys have sensitive skin under their beard, the hair grows in stronger due to the calming effect. The pores are also cleansed out and bacteria can’t get a foothold, so the shaft ends up much stronger. This also means that the hair follicles are more dense. This shouldn’t be confused with thicker. The width of the follicle is the same, but they have more substance to them so they end up looking thicker as a result. Who Should Use Jamaican Castor Oil for Beard? Anybody can use Jamaican black castor oil for beard or hair and see some benefits. Everybody will end up with thicker looking and stronger beard hair that is less prone to becoming brittle. But for those with skin conditions that inhibit their beard growth, castor oil for beard will give them even better results. If you have skin conditions like acne, eczema or seborrheic dermatitis, then this is holding your beard back. If you have those issues and also have a patchy beard, then this could be your ticket to a fuller and healthier looking beard. Your beard health starts with your skin, so if you take care of your skin health, your beard health will follow. I’ll keep this section short and sweet as it isn’t rocket science to apply castor oil for beard. The first thing is to make sure that your beard and face are clean. Wash with a good beard shampoo and then towel dry it but leave it slightly damp. Even the best castor oil is very thick and having damp hair will make it easy to evenly apply. Use about a quarter size amount of oil and rub it in your palms. Then get it right into the beard, starting from the skin and work your way to the ends of the hair. Once you feel it has coated your hair, give your face a good massage using the tips of your fingers. This helps it get absorbed more easily into the skin and will kickstart the blood flow. Let it sit on your beard for at least an hour and then wash it off. Castor oil is difficult to wash off, so you may need to repeat the process a couple of times. If you feel you aren’t getting a good lather working, then add a little more shampoo. If you feel like you really need a boost, then apply the castor oil and let is stay there the rest of the day. You may be tempted to put this on your beard at night and let it absorb overnight. This is not a bad idea, but keep in mind that castor oil will stain your pillow case, your pajamas, and your blanket. If you don’t mind that, then go for it. Otherwise do this in the morning and let it stay on your beard during the daytime. What Is the Best Jamaican Castor Oil for Beard Growth? If you’re going to use the best castor oil for beard, hair or skin, then it is important that it is pure castor oil. This 100% organic castor oil from Rooted Treasure is additive and preservative free and was not pressed with any solvents like hexane. This means that it is not only not harmful to use topically, but that it still has all the nutrients and vitamins that your beard needs. It comes out very thick and dark and has a sort of nutty smell to it. This is typical of a good, pure castor oil. It gets working right off the bat, too so you can see immediate results. Right away you will feel your beard softer and have a thickness to it. That doesn’t mean that suddenly your hair is sprouting faster or anything. It just means that it get absorbed fast into the hair and you can certainly feel a difference. It is only four ounces, but a little goes a long way. Use about a quarter sized portion and really rub it in. In a few days you will notice your beard is less brittle, the dead ends are smoothed out and your skin feels cleaner and tighter than before. If you have acne under your beard then using a good castor oil is essential. You want to go with the most natural castor oil out there, so this is definitely the one to fit the bill. It is so authentic, that don’t be surprised if you occasionally feel a bit of shell in your hand! Is Jamaican black castor oil for hair and beard worth it? There really is nothing to lose by trying out a castor oil. If it doesn’t grow faster or regrow any hair that was lost, the by product is that you have a softer, thicker beard that is less prone to breakage. That alone will make a noticeable difference in your beard. I will stress once again and risk sounding like a broken record. But, if you are not looking for a miracle that will grow you a Grizzly Adams beard when you have a wispy, patchy beard, then you will be satisfied with the results. If you have trouble growing a thick beard and just want it to look better then you’ll get what you are looking for. As long as your expectations are realistic then you should definitely go for it. Many claims of castor oil have been exaggerated and I think it’s a shame. This has made it seem like it’s some kind of new agey snake oil scam. The reality is that it does help. Got any questions about castor oils? Do you have any experience with them that you want to share? Let us know by dropping a comment in the box below! We love to heard back from our readers.